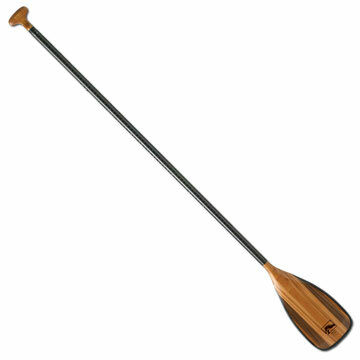 The Balance stand-up paddle from Bending Branches is the perfect exercise equipment for water lovers. Lighter than most full-synthetic paddles, the Balance marries high-tech materials and design with the beauty and warmth of wood. Laminated Red Alder and Black Willow make for a beautiful blade with an unbeatable feel. The squared-off blade profile catches the water and delivers a powerful workout. An aviation-grade carbon shaft provides stiffness and maximum power transfer. The shaft length is adjustable, allowing you to customize the fit for different height paddlers. The Red Alder palm grip is shaped to match the curve of your hand. As comfortable for dawn patrol workouts as it is for all-day exploring, the Bending Branches Balance SUP paddle will feel great in your hands.